Carnival hardly exists in the United States anymore. It has survived as a Shrovetide festival with Mardi Gras in New Orleans and as a summer celebration for the West Indian community with the Labor Day parade in Brooklyn. However, the carnivalesque—as a medium of emancipation and a catalyst for civil disobedience—is alive and well, and these contemporary carnivals have retained their rebellious potential. The encampment at Liberty Plaza, as Occupiers re-christened Zuccotti Park, was under Carnival’s sway—until cold weather set in and the camp was raided by police on November 15, 2011. In the early days of the movement, primal energies gave way to intentional community-building and free communal feeding, bodies at play and trash on display, excess and refuse. Raised eyebrows about alleged sexual acts in the park and confessions of gluttony for the famous OccuPie pizza were all instances of the pleasures of the senses and excesses of the flesh that are common to Carnival—even under the duress of uncomfortable accommodations and police harassment. Then there were the countless examples of personal ingenuity. In the early days of the movement, a helmeted woman in fur boots and a figure skating outfit was seen riding a gold and pink papier mâché unicorn. In another case, a young man dressed up as what might be called a Zorro Graduate. He wore the black mask and gloves of the TV avenger, along with a black graduation hat and gown. 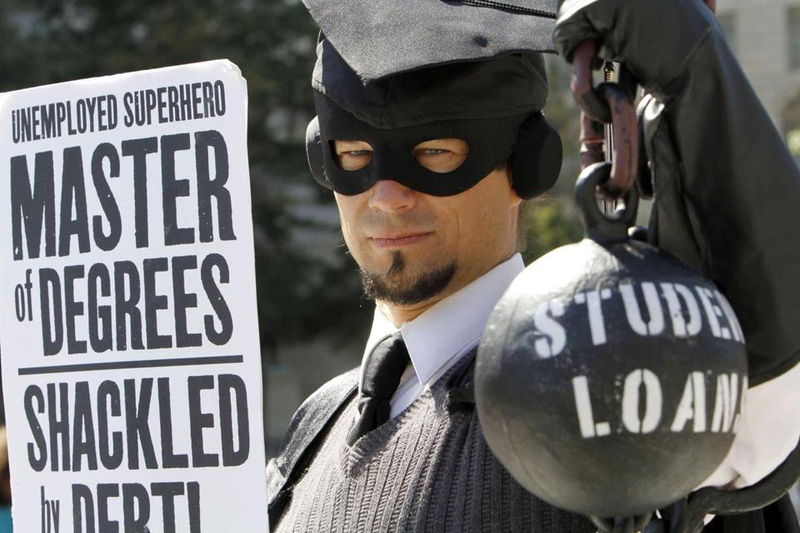 He held a convict’s chain and iron ball printed with the words ‘student loan’ and a sign reading ‘Unemployed Superhero, Master of Degrees, Shackled by Debt’ (see Figure 4). Artists have also answered the call to action. Peter Rostovsky and Lynn Sullivan organised The Language Experiment with about twenty other artists who came together under the name Build the Occupation. First performed on Halloween and then reiterated on N17, the group dressed in orange pie charts and 99% glasses. They held signs (at first handwritten, then printed with a font designed by Steve Robinson) bearing words in the fashion of refrigerator magnet poetry, with reference to Daniel Martinez’s Whitney Biennial piece ‘I can’t ever imagine wanting to be white’ (1993).7 Taken together, the performers formed living sentences, the written equivalent of the ‘human microphone,’ the occupiers’ signature voice amplification technique. These occupation builders delivered collective messages that were permutable at will, if within the range of a carefully chosen consciousness-raising vocabulary (see Figure 5). However, we shouldn’t see Carnival merely for the costumes. OWS might well be another Carnival Against Capital—a tactical re-territorialisation of public space and political discourse, of social formation and cultural production, carried out as a concerted effort to regain democratic rights and liberties. In fact, carnivalesque protests were a staple of the anti-corporate globalisation movement. The Global Carnival Against Capitalism (or ‘J18’), organised by the activist group Reclaim the Streets, was an international subversive street party that took place on June 18, 1999 to coincide with a G8 summit in Cologne (see Figure 6). It updated Mikhail Bakhtin’s characterisation of Carnival as a topsy-turvy world where laughter subverts authority. 6: Marcelo Expósito, Radical Imagination (Carnivals of Resistance), 2004 (video still. The film documents J18). 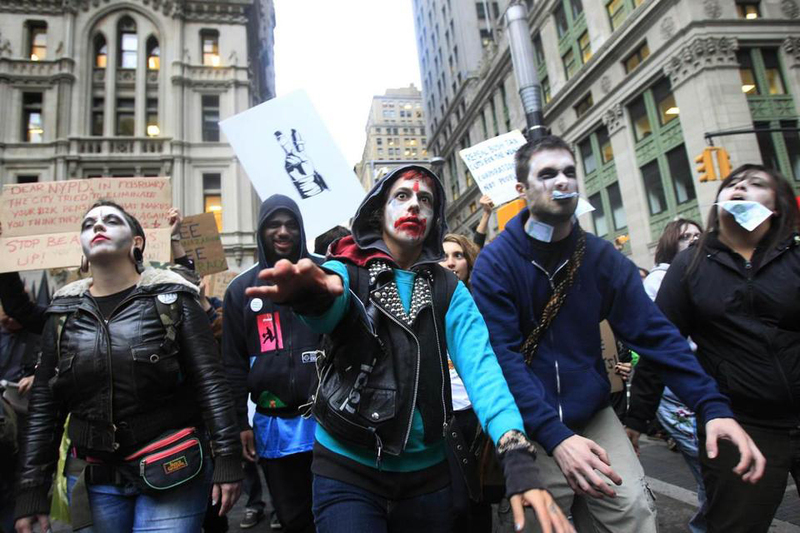 What seems to prevail in the American incarnation of the Occupy movement is a softer latter-day anarchism inherited from the commune movement of the 1960s and the intentional communities of the 1980s. The latter were themselves indebted to the Situationist International and the Italian autonomist movement, and were compounded in American anarchist Hakim Bey’s Temporary Autonomous Zone (TAZ), the tactical field manual of alter-globalisation activists since 1985. 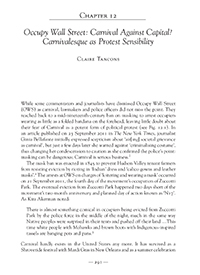 A link that has been more widely made has been between OWS and The Coming Insurrection (2009), a pamphlet written by The Invisible Committee, a French insurrectionary anarchist group. Glenn Beck has hysterically attacked The Coming Insurrection, indicting it as the inspiration for OWS and the international upheavals that preceded it, from the Greek protests of 2010–11 to the UK student movement of 2010 and the Arab Spring. (The latter was first acknowledged as a source of inspiration by the occupiers themselves). The pamphlet proclaims that ‘we live under an occupation, a police occupation,’ and states that ‘we don’t want to occupy the territory, we want to be the territory,’ thereby reversing the rhetoric of occupation (as in the (Un)Occupy Albuquerque movement). It casts a pessimistic light on a state of de facto capitalist colonisation of the world.12 Since the eviction of OWS and other encampments, the need to de-territorialise the occupationist strategy and ‘be the territory’ has never seemed more urgent. The Invisible Committee can be seen as the latest link in ‘the theoretical lineage … constructed in retrospect [by international activists] to serve the interest of [the] contemporary radical project,’ as Gavin Grindon has put it. Grindon initially identifies Bakhtin, Vaneigem, and Bey as part of this lineage (Grindon 2004: 148). However, what one might call the ‘Occupationist International’ freely borrows from the anarchist toolbox, using Bakhtin’s therapeutic laughter, resurrecting Vaneigem’s insurrectional ardor, and implementing Bey’s guerilla tactics, while at the same time rejecting The Invisible Committee’s exhortation to abolish general assemblies. General assemblies have been one of the core characteristics of OWS, introduced by Spanish activists involved in the M15 movement. Just as the economy is the crux of the movement’s concerns, it is also at the core of Carnival. 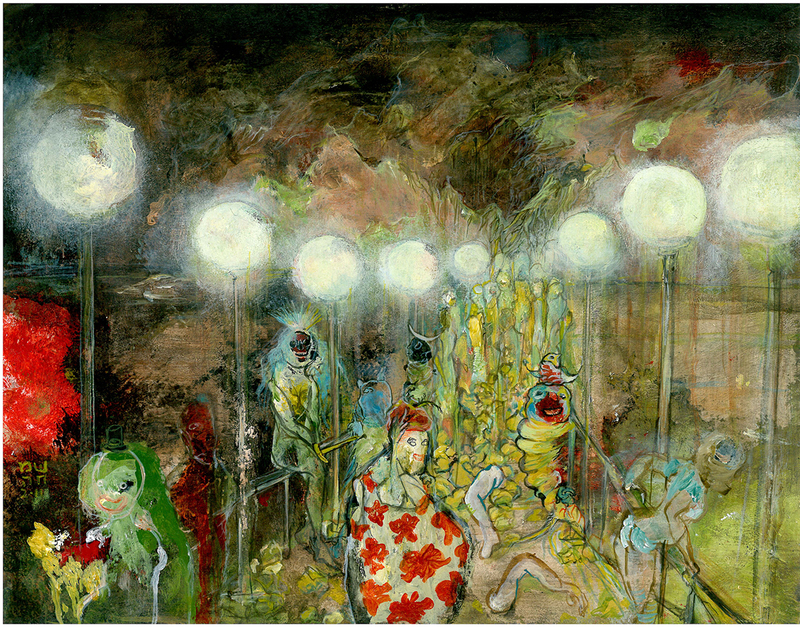 The few contemporary commentators who try to establish a link between—to borrow Grindon’s categories—‘carnivalesque attacks upon a shared popular culture’ and ‘carnival as part of a shared popular culture,’ usually look to Europe for models of Carnival. But the carnivals of the Americas provide both explanations for and alternatives to this country’s economic plight. Figure 7: Portrayal of Dr. Eric Williams at Carnival in Trinidad after the first PNM (People’s National Movement) victory at the polls in 1956 (photo: Garnet Ifill. Garnet Ifill Photograph Collection. The Alma Jordan Library, The University of the West Indies, St. Augustine Campus, Trinidad and Tobago). Carnival was widely practiced in the Americas, where colonisation and slavery replaced European feudalism and servitude, and where plantations afforded experiments with capitalism that would later develop into British industrialism. In the Old World as in the New, Carnival thrived off the extreme disparity between masters, their subjects, or slaves—what today we would call wealth inequality. Role reversals alleviated a brutally divisive social system by crowning servants and slaves king for a day. Carnival created an opportunity for society to cohere anew, at least for the duration of the festivities. With this understanding of the structural dynamic of Carnival, it is not surprising to see carnivalesque strands appearing in America’s frayed social fabric at a time when the rich have never been richer and the poor never poorer. 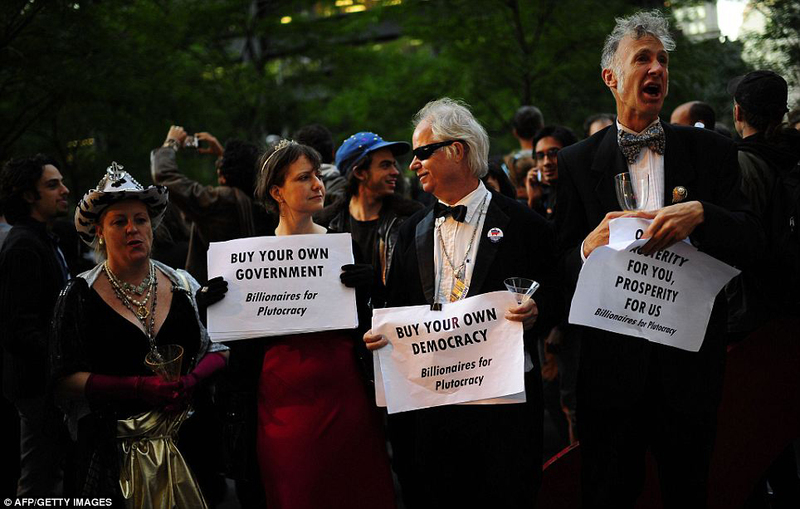 Just as for Graeber the current debt crisis is part of a larger story, so is OWS’s carnival. As Graeber explains, ‘Throughout history, debt has served as a way for states to control their subjects and extract resources from them (usually to finance wars). And when enough people got in enough debt, there was usually some kind of revolt.’19 It is in this sense that capital and Carnival are opposite sides of the same coin, telling the same story from economic and cultural perspectives, respectively. Carnival isn’t merely a cultural practice recuperated by the global anarchist movement and instrumentalised as carnivalesque during protests. It harks back to ancient human archetypes in calling for a reversal of the status quo as a means to mediate between opposite ends of the social spectrum and to create a shared, if fleeting, space to live side by side—a sort of Foucauldian heterotopia, or lived utopia. In stalwart carnival countries, the century-old festival has failed in recent decades to generate political momentum around key societal issues. Instead, it has succumbed to forms of rampant consumerism and escapist fun that are as remote from political relevance as any other mainstream entertainment. And yet, despite these cautionary tales, carnival countries and cities offer alternatives to mainstream economic and cultural life that are worth examining. It may come as no surprise that the slow commodification and diminishing criticality of the Trinidad Carnival was initiated by the father of the independent nation. Eric Williams founded the People’s National Movement in 1956 and became the first Prime Minister of independent Trinidad and Tobago in 1962. (Before entering politics he was a professor at Howard University and the author of the landmark historical study Capitalism and Slavery , a work so scathing in its critique of the humanitarian view of British abolitionists that it was not published in the UK until 1964. However, Williams omitted to discuss Carnival as the missing link between Capitalism and Slavery. As Prime Minister, Williams sought to control Carnival through the seemingly auspicious Carnival Development Committee, which attempted to censor calypsonians’s tongue-in-cheek attacks on an often tyrannical political process (see Figure 9). 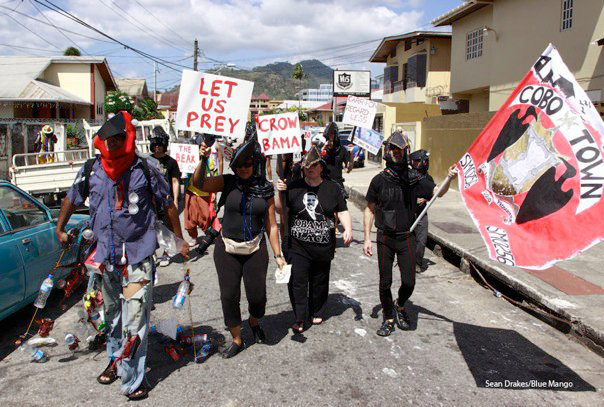 Recent developments in Trinidad and Tobago confirm the suspicions of those who believe Carnival to be a tool used by the elite to keep the masses in shackles. In late August, the government imposed a state of emergency in connection with its constitutionally questionable anti-drug security campaign.23 So far, the population has shown little interest in protesting to maintain its civil liberties. Will bottled-up grievances explode at the next carnival, or will they dissolve in commercialised fun? Prior to independence, Trinidadians migrated en masse to the United States and the UK. 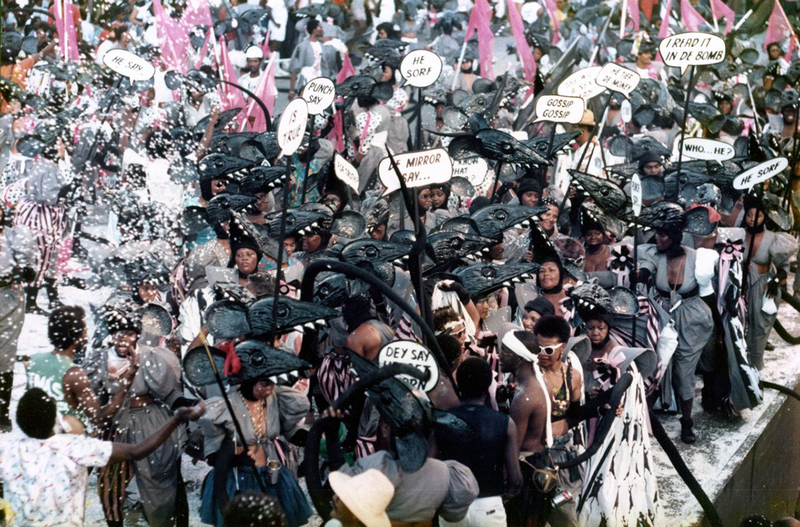 In their adopted countries, they revived the resistant ethos of the Trinidad Carnival. In New York City, they organised Carnival in Harlem in the mid-1940s then in Brooklyn in the early 1960s. It has become the West Indian American Day Parade, better known as the Brooklyn Labour Day parade. These were fundamentally political gestures aimed at gaining recognition and staking claim to territory in a new homeland. In London, Marxist–feminist Claudia Jones organised the Notting Hill Carnival in 1959 in an effort to quell the wave of white-on-black racism that had culminated in race riots the previous year. 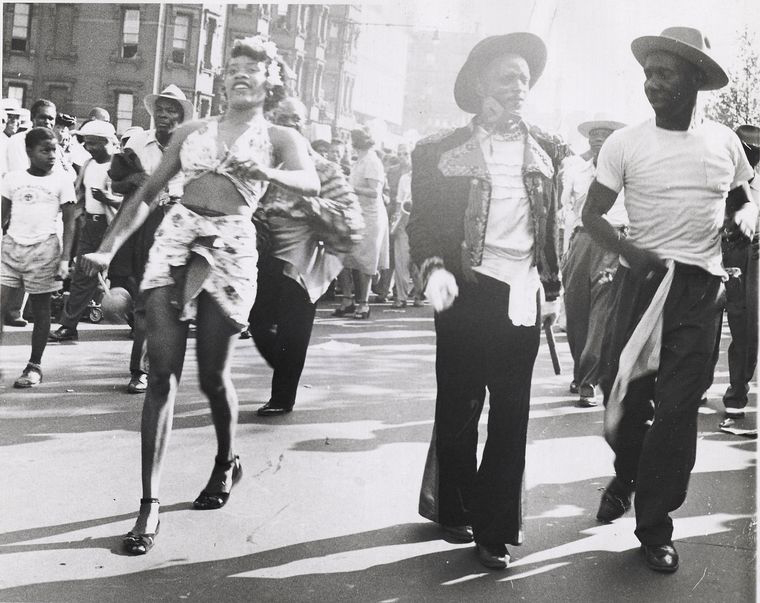 Figure 10: West Indian Day Parade, Harlem, September 6, 1948 (photo: W. Smith. Photographic print. Courtesy Photographs and Prints Division, Schomburg Center for Research in Black Culture, The New York Public Library, Astor, Lenox and Tilden Foundations). Around the time Tate’s statement was published, Occupy the Hood and Occupy Harlem emerged, urging people of colou1r to participate in the movement. 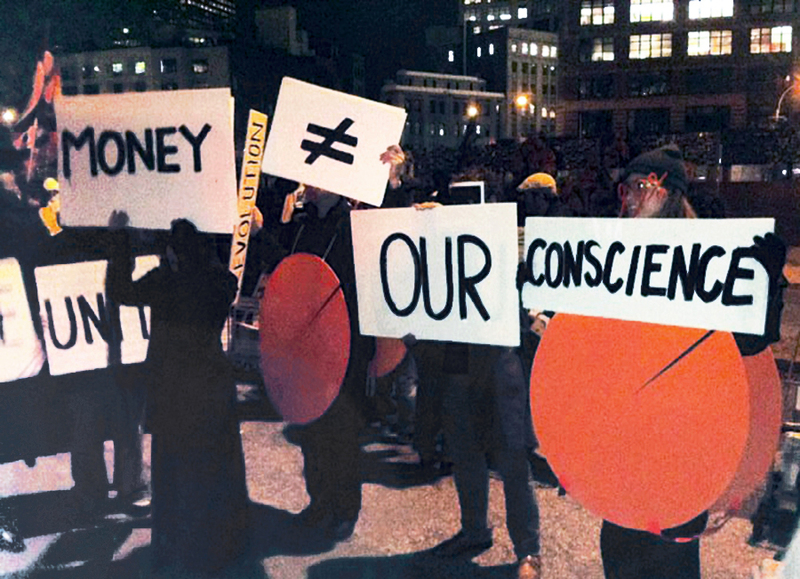 In Manhattan, Occupy offshoots advanced their own agendas through direct action in Downtown/Uptown alliances. And at least two interventions have used modes of public address associated with both the civil rights movement—to which both African-Americans and West Indians contributed—and Carnival—an historically Caribbean mode of rebellion. Two days after the intervention by the Brooklyn Jumbies, the newly formed Council of Elders, an ‘independent group of leaders from many of the defining American social justice movements of the twentieth century,’ announced an alliance of ‘basic solidarity’ with OWS.33 Time will tell if this gesture of inter-generational and cross-racial unity will spur more civil rights leaders of color into action, and if the movement’s non-violent modus operandi will prevail over police provocation. For the time being, the example set by the Council of Elders seems to have sparked the imagination of mainly white activists, as writer and cultural historian Sharifa Rhodes-Pitts remarked—with the remark not meant to indict said activists as much as to exhort those missing in action.34 Following the passing of ‘the torch of hope and social justice’ from the Elders to OWS during an interfaith service at Liberty Plaza and a public discussion about ‘space, liberation, and race’ at Judson Memorial Church, organisers and participants set out on a candlelight vigil march from Washington Square Park to Duarte Park. 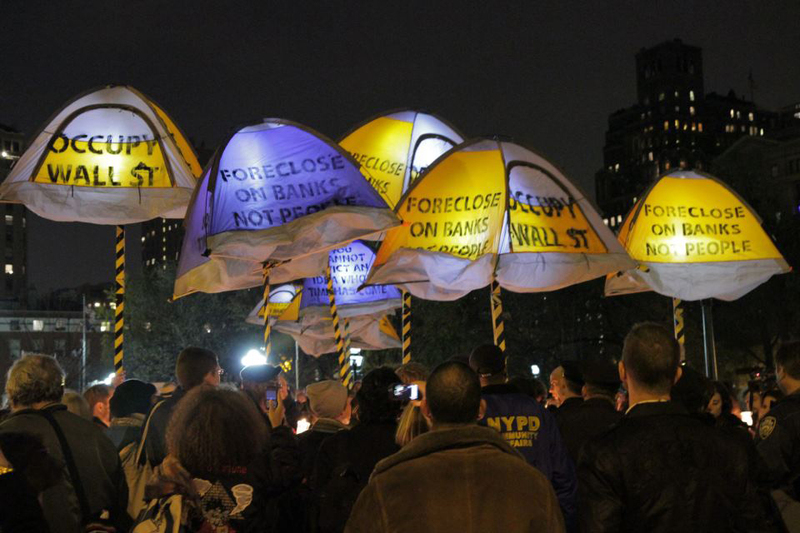 The march was organised by the interfaith clergy group Occupy Faith NYC, the Council of Elders, and various OWS-affiliated arts and culture groups such as Not an Alternative.36 In addition to candles, marchers carried so-called mili-tents to symbolise occupation, and their destination prefigured a possible future occupation (see Figure 12). Despite the military language of deployment and invasion the artists-activists used when discussing the dissemination of the mili-tents, these and other artistic interventions that surfaced on N17—such as the black-and-yellow banners and placards (the latter doubling up as shields)—were not meant to encourage confrontation with the police. On the contrary, their purpose was to divert attention away from the overwhelming media focus on clashes between occupiers and the NYPD. These interventions, more recently carried out with tape, sought to dislocate the power of authority over space by appropriating and subverting the colors of official spatial signage. The mili-tents, which were held up with sticks, also recalled the umbrellas of New Orleans second-liners, that other protest-prone carnival-inflected American tradition. Perhaps nobody can say whether more blacks and other minorities will rally to the movement in significant numbers. Besides, as Colorlines editor Rinku Sen put it, ‘the question is not if you can bring people of color to the party but if they can change the music.’37 But given OWS’s underlying anarchist ideology, might not the question as to ‘why so few black folks appear down at OWS’ be more productively phrased as, ‘where are the black anarchists?’ In New Orleans in the late 1970s, Eric Bookhardt and John Clark, two former Louisiana activists from the Vietnam War¬-era counterculture, came close to circumventing the vexing disappearance of that rare species, the black anarchist: they invented one. In 1979, Bookhardt published the first edition of Geopsychic Wonders, an illustrated book celebrating the Crescent City’s idiosyncratic urban landscape (see Figure 13). The book sparked a cult following among generations of New Orleans artists. Sharing startling similarities with the situationists’ psychogeography, whose key words it inverts, geopsychics is a tribute to New Orleans’s fertile anarcho-situationist soil. Some artists who practise geopsychics, like the painter Myrtle Van Damitz III, have been involved in both Mardi Gras krewes and local Occupy events. In her work, Van Damitz III renders in oneiric hues the kind of transmogrified creatures seen in the waking dream that is Mardi Gras (see Figure 14). An occasional member of Krewe of Eris, ‘technically the Goddess of Discord parade,’ and Krewe of Poux (‘lice’ in French), Van Damitz III took part in Occupy Frankie and Johnnie’s on October 21. This was the occupation of a local furniture store threatened with corporate takeover by CVS. The store is located in the St. Claude corridor, the site of New Orleans’s latest artist colony and a neighborhood increasingly subject to gentrification.39 But as Van Damitz III clarified, Occupy Frankie and Johnnie’s ‘was more a farce of Occupy, and a statement about the continuity of free expression and humor in New Orleans to make a statement and effect change.’40 Precisely to the point! Under the pseudonym Max Cafard (‘cockroach’ in French), Clark wrote the Surre(gion)alist Manifesto, which cast into words Louisiana’s Creole anarchism.42 Bookhardt created the founding figure of surre(gion)alism, Lafcadio Bocage (an Afro-Creole), whom he describes as such: ‘He was also a poet as well as a philosopher, and his anarchism had its roots in his observations of nature and in his contacts with indigenous Louisiana Indians who, in good years, excelled at a lifestyle of purposeful leisure.’ Knowing the life and legacy of New Orleans’s free people of color, one can easily imagine Lafcadio Bocage as a forbearer of the Mardi Gras Indian tradition. 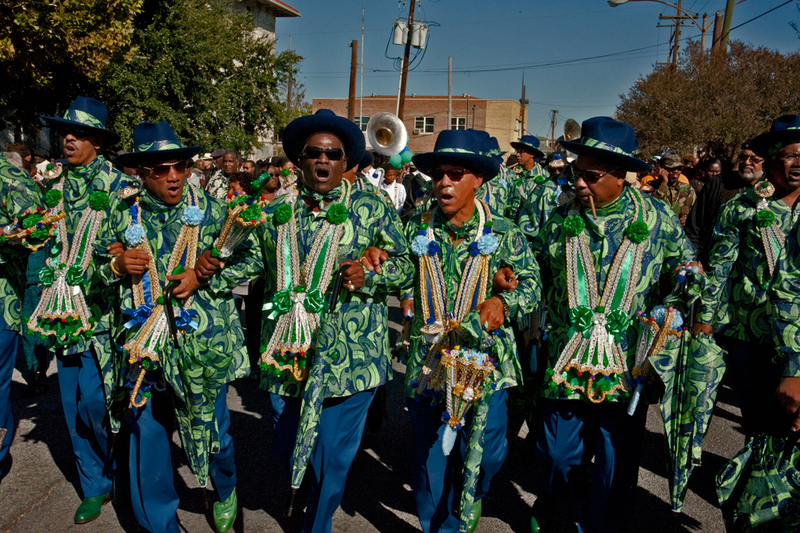 Figure 15: Black Men of Labor Social Aid & Pleasure Club Second Line, New Orleans, October 29, 2011 (photo: Lewis Watts). Mardi Gras Indians are, to my mind, anarchist analogs in the sense that they are self-organising and non-programmatic expressions of an intuitive ethno-flâneur sensibility. The route is a dérive and they are expressions of geopsychics and psychogeography, and as such they are intuitive native situationists. Anarchists without portfolio. A perfect expression of Nola’s innately anarchistic culture of celebration. Scholars Peter Stallybrass and Allon White argue that ‘it actually makes little sense to fight out the issue of whether or not carnivals are intrinsically radical or conservative.’49 They assert that ‘there is no a priori revolutionary vector to carnival.’ However, at the beginning of OWS, both sceptical journalists and committed protesters made direct references to the mother of revolutions, the French Revolution. The former mocked the protesters’ disappointment that ‘the Bastille hadn’t been stormed’ (only to later ponder, ‘Carnival or Revolution?’).50 The latter warned in a ‘memo to the 1%’: ‘The 99% are waking up. Be nervous. Be Very Nervous. Marie-Antoinette wasn’t.’ This followed Roseanne Barr’s call for the return of the guillotine in a speech at Liberty Plaza. This revolutionary chorus, was met with an anthropophagic crowd menacing that ‘One day, the Poor Will Have Nothing Left to Eat but the Rich’ (or the short version: ‘Hungry? Eat a Banker’) (see Figure 16). What is at stake here is not so much whether the carnivalesque is turningual strategy and hierarchy inversion, of the expanse (and expense) of the gap between the 1% and the 99%, and the diversity and disparity within the 99%. As much a site of resistance as a relational mode, the carnivalesque occupation of Wall Street is a symbolic struggle to break the high-low binarism that has besieged contemporary American society, whether in class or race. One cannot help but hope that in New York and the other cities where the movement has taken hold, the carnival cosmology will supplant the exchange economy, as it has in Mardi Gras, allowing for a renewal of the senses atrophied by dematerialised financial transactions. But the real reversal of this carnival might well lie elsewhere, outside the United States. The Arab World is the movement’s proclaimed source of inspiration, having set the tone for this century’s worldwide wave of societal change. From this perspective, American citizens might be looking a lot more like 99% of the rest of the world population, no longer in the privileged top 1%. Staging their carnival in the middle of a severe economic downturn—the twenty-first century form of Lent—the Wall Street occupiers might seem to want to have their cake and eat it too. For Bakhtin following Rabelais, the essence of carnivalesque celebration was ‘a feast for the whole world’ in which oxen were slaughtered and shared among the citizenry, a form of wealth redistribution.55 So beware: the Wall Street bull may end up like the fattened ox of Mardi Gras, sacrificed this coming Fat Tuesday, or the next Black Wednesday. Postscript: I originally wrote this closing metaphor on October 12. Only a month later, it came to life. 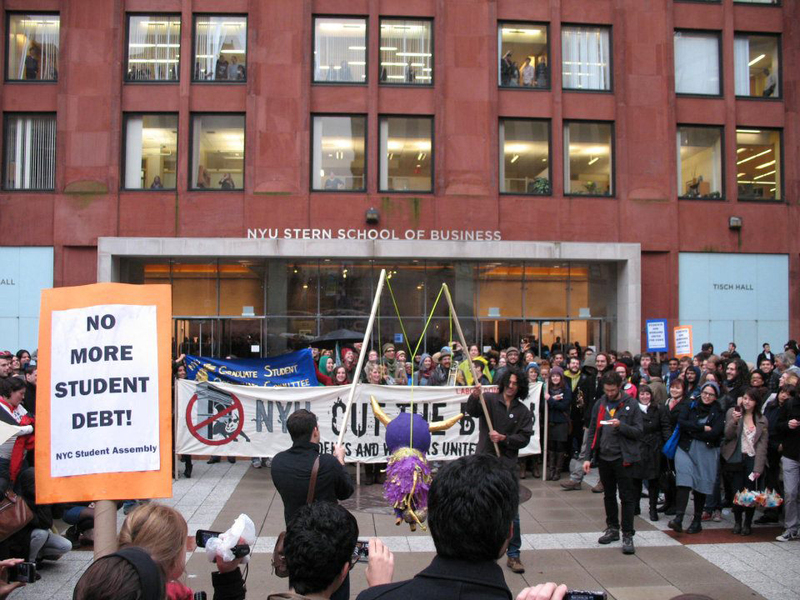 On N17, a purple-and-golden bull-shaped piñata named Wally, ‘the spirit of Wall Street at NYU,’ was castrated in front of New York University’s Stern School of Business (see Figure 17). Wally was created by NYU4OWS, a group of artists and NYU students led by Daniel Aldana Cohen, a PhD student in sociology, with funds from the New York General Assembly’s Arts and Culture Committee. After being castrated, Wally was bashed open by the student body, aka the 99%. 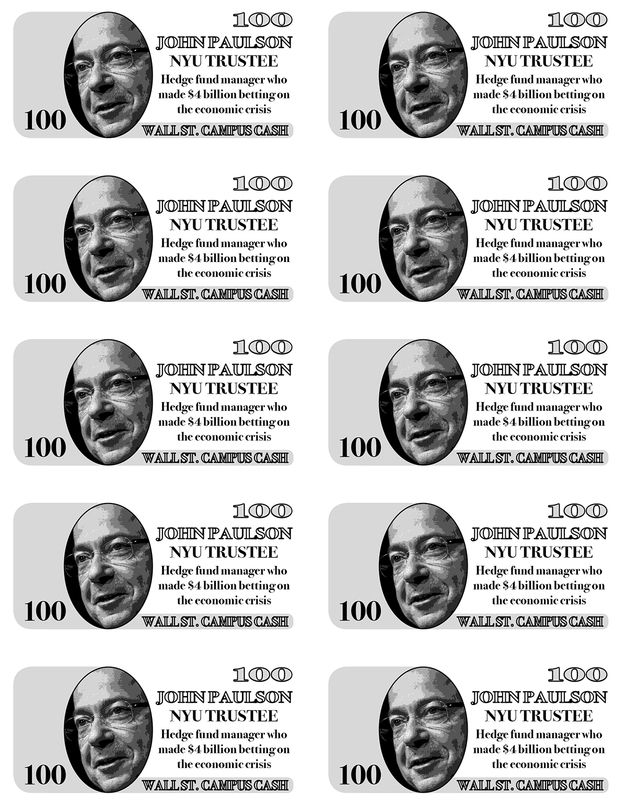 From its bulging belly fell ‘Wall Street Campus Cash,’ fake banknotes featuring pictures and financial data about NYU President John Sexton (‘Earns $1.6 million a year’), NYU Trustee John Paulson (‘Hedge fund manager who made $4 billion betting on the economic crisis’), and others (see Figure 18). The bullfight fulfilled the protester’s desire to ‘destroy the symbols of [the 1%’s] power with a smile.’56 Let’s hope that more such prophecies will soon be realised, more ancient rituals reenacted, and new rituals invented as part of what Jack Santino, in reference to the carnivalesque, termed ‘the ritualesque.’ Traditionally associated with Mexico, the piñata is commonly known to have come from Spain and become part of Lenten celebrations. It is also said to have had Chinese origins, where it was part of New Year festivities and represented … a cow or an ox. Information about The Language Experiment was obtained by the author in email and Facebook conversations with Peter Rostovsky on November 25, 2011. The Invisible Committee (2009), The Coming Insurrection (Los Angeles: Semiotext(e). Gavin Grindon (2004), ‘Carnival Against Capital: A Comparison of Bakhtin, Vaneigem, and Bey,’ Anarchist Studies 12, 2: 147-161. David Graeber (2011), Debt: The First 5,000 Years, New York: Melville Publishing House. Claire Tancons (2009), ‘The Greatest Free Show on Earth: Carnival from Trinidad to Brazil, Cape Town to New Orleans,’ in Dr Barbara Bloemink, Lolis Elie, Claire Tancons and Dan Cameron (eds), Prospect.1 New Orleans, Brooklyn: Picturebox, pp. 60–61. See here. Claire Tancons (2008), ‘Spring,’ in Okwui Enwezor (ed. ), The 7th Gwangju Biennale. Annual Report: A Year in Exhibitions, Gwangju: The Gwangju Biennale Foundation, p. 337. See (Accessed 23 June, 2013). To read Prime Minister Kamla Persad-Bissessar’s statement on the state of emergency in Trinidad and Tobago,’ see (Accessed 23 June, 2013). 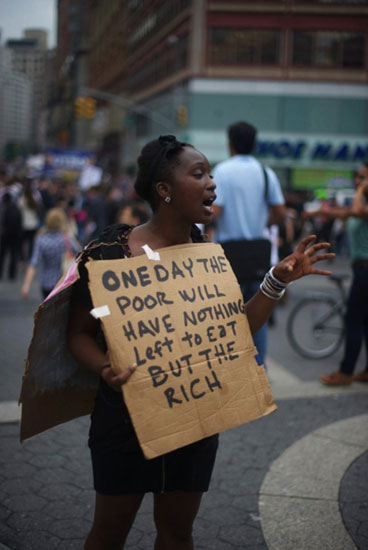 Greg Tate, ‘Top 10 Reasons Why So Few Blackfolk Appear Down to Occupy Wall Street,’ Village Voice, October 19, 2011. See (Accessed 23 June, 2013). Philip Kasinitz (2004), ‘New York Equalizes You? Change and Continuity in Brooklyn’s Labor Day Carnival,’ in Milla Riggio (ed. 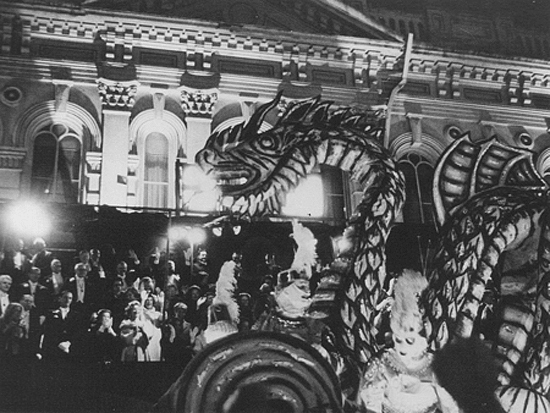 ), Carnival: Culture in Action—The Trinidad Experience, New York: Routledge, 2004: 273. See (Accessed 23 June, 2013). The founders of the Brooklyn Jumbies are Najja Codrington, of Bajan and Senegalese descent, and Ali Sylvester, of Trinidadian descent. 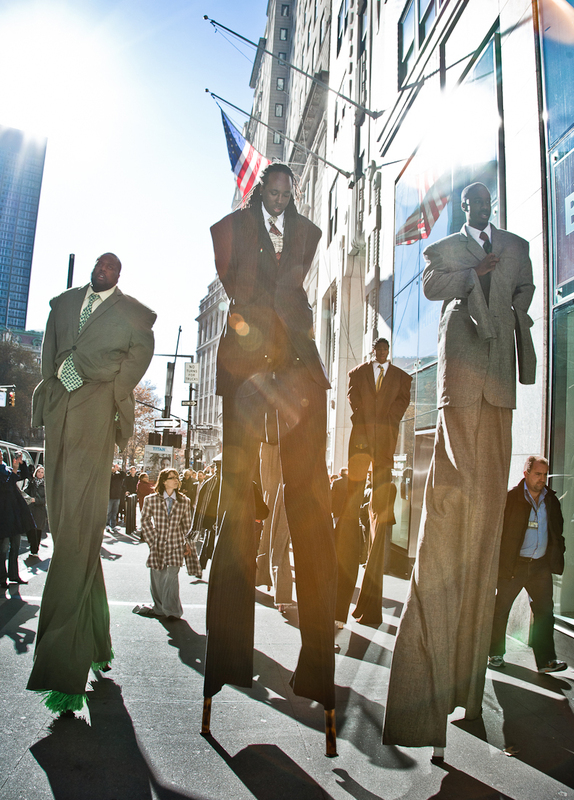 Barbata has been collaborating with the Brooklyn Jumbies and other stilt-walker groups in Trinidad and Mexico for nearly a decade. Facebook announcement for the event see. (Accessed 23 June, 2013). As emphasized in this YouTube video see (Accessed 23 June, 2013). Email conversation with the author, November 21, 2011. See Laura A. Barbata (2005), ‘Singing Civil Rights’ in T.V. Reed (ed.) The Art of Protest: Culture and Activism from the Civil Rights Movement to the Streets of Seattle, Minneapolis and London: University of Minnesota Press: 1-39. See Fernanda Santos and Michael Wilson, ‘Police Detain Brooklyn Councilman at West Indian Parade,’ The New York Times, September 5, 2011. (accessed 23 June, 2013). In conversation with the author in New Orleans on November 22, 2011. Information about the November 20 event and mili-tent march provided by Jason Jones in Skype conversations with the author on November 23 and 25, with additional contribution from Beka Economopoulos. Both Jones and Economopoulos are members of Not an Alternative. For Sen’s views on the question, see the Democracy Now! broadcast of the November 25 Occupy Everywhere panel organized by The Nation. All quotes from Eric Bookhardt are from emails exchanged with the author during the night of November 2–3, 2011. ‘Occupy Stands Up for the Special Man,’Nola Defender, October 21, 2011. See (Accessed 23 June, 2013). In an email conversation with the author on November 17, 2011. ‘The Cult of Convenience—the Mall on St. Claude,’ Nola Anarcha, October 12, 2011 see (Accessed 23 June, 2013). Email conversation with the author on October 17, 2011. Brendan McCarthy, ‘About 400 marchers join ‘Occupy New Orleans’ protest,’Times-Picayunes, October 6, 2011. See (Accessed 23 June, 2013). Jordan Flaherty (2011), Floodlines: Community and Resistance from Katrina to the Jena Six, Chicago: Haymarket Books, 17-18. Quoted in Flaherty, ibid., 8. Naomi Klein (2008), The Shock Doctrine: The Rise of Disaster Capitalism, London: Penguin. Peter Stallybrass and Allon White (1986), The Politics and Poetics of Transgression, Ithaca, New York: Cornell University Press, p.14. Bellafante, ibid., September 23. Peter Catapano, ‘Wall Street Protests: Carnival or Revolution? Can you Hear Them Now?’ New York Times, September 30, 2011. For more on the legacy of J18 see Brian Holmes (2008), ‘Do-it-Yourself Geopolitics: A Map of the World Upside Down,’ in Sønke Gau and Katharina Schliebe (eds), Pleasure Principle, or the Carnivalesque? A Reader on Possibilities, Experiences of Difference, and Strategies of the Carnivalesque in Cultural/Political Practice. Berlin: Lit Verlag: 265-73. Quoted in Rahul Rao (2010), Third World Protest: Between Home and the World, Oxford: Oxford University Press, p. 2. Michael Hardt and Antonio Negri (2004), Multitude, New York: Penguin Press, p. 211. Mikhail Bakhtin (1984), Rabelais and His World, trans. Helene Iswolsky, Bloomington and Indianapolis: Indiana University Press, p. 223. For a YouTube video of the event, see. For a written account of the event see (accessed 23 June, 2013).